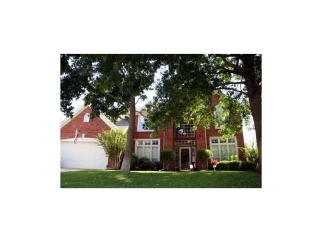 Grapevine Home - SOLD FAST!! mmaculate 4 bedroom Drees custom home with 2 living areas, 2 dining areas, a study, gorgeous wood floors, and a Texas size kitchen with granite countertops and KitchenAid appliances. The backyard oasis includes an in-ground gunite pool (with child safety perimeter fence) Landscaping and children's playscape with plenty of room left to play. This is a must see home in a wonderful neighborhood that has little home turnover and sells very quickly!